Hello everybody! Last week I was in Paris visiting my sister. I always plan a "train related activity" when I travel abroad, if it's a pleasure trip. Some times it's just visiting train shops, others going to a museum, and others coinciding with a hobby flea market. But just some days before going I read somebody in a forum talking about an awesome abandoned circular railway inside of Paris. 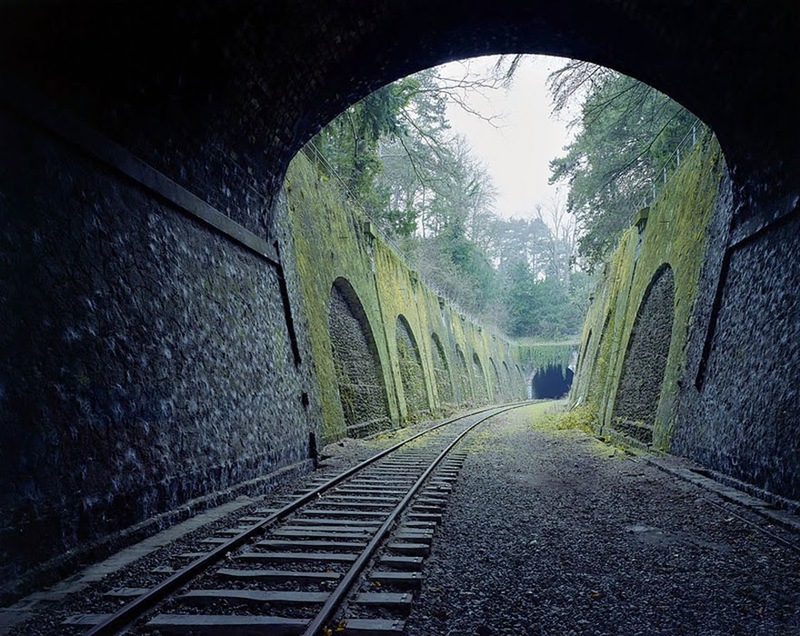 At the same time somebody sent me link to a site with incredible photos of abandoned places, and seemed to be the same old abandoned railway of Paris. That couldn't be just a coincidence, I had to found that railway line!!! And yes, after some research I found this line is called Chemin de fer de Petite Ceinture (French for "little belt railway"). "...was a Parisian railway that, from 1852, was a circular connection between Paris's main railway stations within the fortified walls of the city. In a partial state of abandonment since 1934, the future of its yet-undeveloped property is the subject of much debate as of 2013. Many French railway enthusiasts and associations would like to see the abandoned railway and its remaining stations preserved and protected as a part of France's national heritage." I also found there is a park called Montsouris in the south of Paris, crossed by the normal railway line and also with a visible part of the Petite Ceinture. Now I can assure the photo was taken exactly in this park, it's exactly the section of tracks passing the park Montsouris. The park is awesome, with a big lake where many ducks, swans, turtles and many other animals live, big and old trees from all over the world and many place to make picnic. There are also some bars, a restaurant, kids playground zone, public toilets,... really nice. The line extends outside the park, may be in another trip I try to follow it and see if there is a point to go inside. - the Petite Ceinture du 15e (15th district of Paris) which has still some railway infrastructure. Next time I'll try to access to this parts you mentioned.